This article is littered with spelling and grammar errors so don't even bother to read it. If you do Michael Schieber hands out May team grades and updates his predictions. The Sharpshooters slaughtered Lackawanna to start the season and then followed it up with back to back quality results again Premier playoff sides. A really solid start especially considering they weren’t always at full strength. Brendan Lawler is off to the best start of his BDSL career perhaps (considering all factors). They are well on their way to another good Premier regular season and playoff berth. A straightforward month for BSC here. I’m nitpicking that they aren’t blowing teams away but wins are wins in Premier. June sets up nicely for them and an 4-0 run is totally reasonable. Banking point in June is important as they have a tough run in July. The offensive contributions this team gets from their defense is what always makes them a cut about the rest it seems and it was no different here. BUSS scored the most impressive Premier start out of all the teams. A slight hiccup in the Clarence draw but they were a man down for a considerable time and still secured a point. Clifford has kicked it up a gear which is frightening but they are getting production from plenty of others as well. Just wanna end with throwing in my best wishes to Ian Martin on his injury too. Sure they are 5th in the standings but they are trending down after earning just 1 point in last 2 games. They have yet to play any of the other 4 Premier powerhouses so that least 4 other games they will absolutely need to get points in. Maybe I underestimated the growing pains with the roster changes but it a bit concerning looking at whats ahead for them. I still have them in the playoffs though as there is just too much talent here to ignore. Clarence maybe that team that will be in every game this year no matter who they play. Every contest vs them will be close I think after seeing their first 3 results. June opens nicely for them and if they can grab a handful of points here, they’ll be positioned nicely to return to the playoffs again. Mo Channer has become their go to offensive threat, while the back line has performed nicely without Schroen. Things are looking up for them. Despite a lower grade I’m going to say I’m rather encouraged here by the production of the young guns here on EAFC. Bean in particular has proved he belongs amoung the BDSL Premier class. I still would say they won’t return to the playoffs but they are closer to making a return there then fighting against the drop. A tough month for LFCY. The blow out week one was coupled by a close loss to BSC and then a late collapse to Queenston. If you are looking for positives many of these wounds here have been self-inflicted as a pair of red cards you can point to dooming them. And they also have 2 really hard games in the rearview mirror. Some work to do ahead of them though to have a playoff chance. I think that Queenston a prime example of a team the plays to their opponents. They can raise and lower their level of play accordingly and that’s not really a good thing as it costs them. There is a general lack of urgency that plagues them. They come out slow and then slowly get into it. Today’s premier makes getting results when you play like that next to impossible. Closer to relegation then playoff quality at this point. In what’s becoming standard SoHo FC fashion its been a bit of a lackluster start for them. This has been the case the past few years but they’ve found their points later on and always been a playoff team. It’s looking like low scoring grind it out affairs for them this year and if anyone knows how it pull out close ones its SoHo. So while they are in 8th with a 1-2 record, I have moved them up in my rankings. Makes no sense I know. A total miss here by me. I underestimated how hard they are to play against. They are also unafraid of anyone in any game. The trick for them is they need their optimal line up and a deep bench to be at their absolute best. That might be a tough ask to happen for a full season. Hernandez has been a revelation and huge get for them. Overall I like them way more after the early results. Could be the promoted team that best challenges for a playoff spot. So ya I’m more or less flipping Williamsville and Southtowns after the first few weeks. And this is despite a excellent 4-1 win over Celtic United. That’s the side I expected more of but they needed to get of to a good start here because their schedule is so difficult going forward. They still have all 6th playoff teams to play. Their June slate after Wolfpack is a murders row of games that might bury them. If they earn 4 points in June that’s a win for this team. I think they might be at full strength going forward but has the damage been done? We’ll see. The win by Wolfpack over SoHo is the most surprising Premier result to me so far. Caleb Richards is making a name for himself in the top flight with his speed and finishing from the wing. Still stout in the back its really on their scoring to see if they can keep pace. They uncovered a gem in Jose Rodriguez as well. A good start but I’m not positive with the schedule ahead its sustainable. A great start in sweeping the month of May with a pair of convincing results and then what could be a huge 1-0 win over Pendleton. BSC Inter are positioning themselves as the most solid team. They boast the best midfield from sideline to sideline in Championship and have only allowed a single goal. Impressive from this side as they have eyes on a Premier league return. Well Beast sure can score. They haven’t scored less then 4 goals in a league game. Even without the GF column backing me up I would tell you no team sports better offensive weapons. Defensively it hasn’t been smooth sailing but does it even matter if they can just blow you out of the building? Will be curious to see how they handle a month with out Guarino in net. A huge game vs BSC Inter that is could be for first place. I hate that I didn’t listen to my gut on these guys. Bantu is going through a rebuild here as they try to inject some youth into the side. They have less command in the midfield and I think that’s what’s done them in on their 0-3 start. It’s going to be a big ask to turn things around for a playoff berth but they should focus on making sure moral doesn’t dip too low that they go the Sunderland route with back to back relegations. Uhhh hello? Anyone here? Guys? The season started a month ago. Ya. Like you’ve played three games. No lie. Still have 8 games left. Certainly time left yes. But ya know maybe get to work on it? Cool. I find it harsh to dig into Lykan to much at this point. Their schedule to start was awfully difficult here and they haven’t been terrible. That Niagara result is perhaps the toughest loss. Losing their GK for the season so early is a huge blow too. Its going to be tough to bounce back for sure but I’m feeling better about them staying up. The back end of the schedule gives them plenty of looks at gaining points. They just need someone to sorta take the lead here especially offensively. They would probably feel hard done not being able to secure a point vs Roos or Beast and drawing with Rangers. So while they currently sit in 9th it’s a very deceiving start for NMB. They also are about to get a influx of college players so depth wise they’ll be closer to full strength going forward. Overall I’m feeling ever better about their playoff chances. DiCarlo is one of the best CB’s in the division and Gloss I think can be difference maker with the help he has coming. My division dark horse is off to a pretty solid start but honestly I have no idea what to do with them. Their results look on paper leave little room for error. All one goal games they’ve been able to pull out. They have 3 huge games in June here to start so I suppose we’ll know very soon if they can make the leap as a legit playoff threat or not. Schieber doubts Pendleton United FC. PUFC proves him wrong. A yearly tradition like no other. A strong start for the Lions here in Championship as they try to copy EAFC with the non stop promotion ride to Premier. They gave Inter all they could handle which to me essentially means they are a playoff lock. It’s a bit of a tricky schedule ahead here for them so we’ll see where they land in that playoffs but I think you can pencil them in at this point. Speaking of teams proving me wrong, I’m pleasantly surprised at the punch Polonia has shown. All this without there defensive leader in Aaron Andrews too. A pair of good wins has this team currently in a playoff position. I’m pretty positive this won’t last but for now I’m happy to be proven wrong and see this longstanding BDSL club enjoying a good start. Chuck Donner averaging a goal a game is just another sign of how good he is despite being twice the age of some of the guys he’s lining up against. I’m going to be honest as I can be with my team. I’m pleased but not overly impressed. On the field we’ve been the better team possession wise in every game we’ve played. In my opinion we’ve barely been tested defensively as essentially most teams are trying to win the ball back and we haven’t had to really fend off sustained attacks. So while the wins have been comfortable more or less, we still aren’t scoring at a decent clip. No one on our team has more then 1 goal. So a good start for us but we’ll see if we can keep our pace up. WSFC grabbed and important win to close out May vs Celtic Hoops but looking ahead to June its tough sledding with one of the hardest run of games here to open the month. Good news is Tarbell is now appearing for them and hes a big help up top. They have a good team but I think just lack the overall make up to really push for more then a mid table finish. Ya know I’d feel a lot better about this if they weren’t coming off of bad loss to Rampart but I’m going to say that was an outliner vs a sign of whats to come. That said defensively they need to clean it up a bit. Joseph Boahen is enjoying a good year which is a boost with Hoffmann yet to find the scoresheet. They have ample chances to build some points here in June. They should aim for at least 8 points. 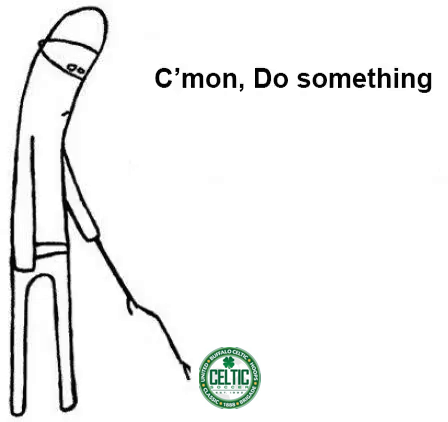 What is going on with all the Celtic teams under achieving right now. Last year was a struggle for many and this year it appears to be no different. Buffalo Celtic at least has put in two good efforts in their last two games but I don’t know if its enough. This weekend features a important game they absolutely can’t afford to lose vs Ukraine. It looks like they’ll be battling the drop all season. Overall Crimson SPAL took care of business in May and sit, well exactly where they are expected to be. Big game vs Grand Island here to start June with a showdown vs OP Alliance lurking behind that. Stryker has gotten the job done up top so far and as long as that continues they’ll have be a playoff team. Look I get it. Most of their guys aint around due to college but hey you have to prepare for that coming into the season. They basically gave all the teams in Pepper a 6 point free lead on them and that leaves next to no room for error in the remaining schedule. This team is good when they have their line up, I have no doubt in that. But it just doesn’t happen enough to make a difference. I’m feeling like I still don’t know what Dutch can accomplish here and their 1-1-1 record is proof of this. I can say 18 year old Owen Adamec has certainly made a nice splash here to begin his BDSL career. If they improved defensively while keeping this scoring pace they’d be a playoff lock in Mingle but this might be who they are are. Looking forward to seeing their results vs FC Quake and Los Chupa in back to back games this month. Look guys I’ve just about had it with supporting you and propping you guys up as the best team in D1. This is 2 years now I’m looking bad and I don’t like to look bad damn it. This is your last chance honestly if you go worse then 2-1-1 in June I’m out. Got it? Good. If Great Lakes is playing soccer goals are being scored. A whopping 6 goals per game are being scored in league games this year for every game appear in. Cedric Hamza is overlooked as a midfield general with Ndagano is becoming one of D1’s most feared strikers. Some good overall talent. They are their own worst enemy though and if they can get out for their own way they’ll remain a big playoff threat. I think their schedule is about to get much harder so we’ll see more of what they truly are when June ends. About expected here from Hamburg. Maybe high on the goals against but that’s about all I’d say. They should be worried that Mes Que has a pulse because the relegation became much more of a possibility. Its basically been the Tyler Hamill plus 10 other guys for them. I hate to make it that simple but I believe they’ll more or less go as far as he’ll take them. It’s a tall task. Hopefully that better commitment they bragged about actually ya know comes to pass cause they sure could use some reinforcements. The Chupacabras are right now the best team in Mingle. They have a good roster built to sustain a full season of D1 games. Rocco Strangio continues to be a difference maker for them despite the step up in division. If I want to be critical I will say they aren’t exactly wowing me with their scorelines here. I could also point out that Bari has been ground to a halt here in D1. But in the end I still think they are the top team in the division. The rebuilt OP Alliance has roared back to life after some rough seasons had them on the brink of club extinction. I’m always happy when a club that’s been down on their luck bounces back and its no exception here with Alliance. They look to be the class of the division and a return to Championship soccer is in the cards if they keep it up. Not good so far but I have hope still. So far they’ll gotten 0 production from Crane and Heist which I fully expect with change (or at least it has to). Losing Gallo in net is a bitter blow (heres to a speedy recovery). They have been pretty competive across all their games so its not like they are the worst team. Just things need to trun around here soon before they are in trouble. June is manageable too so I think they’ll be up to the task. Results are a bit scattered here for Rampart. Handily beat by OP Alliance is fine but then they nick by Ukraine but confidently beat Blizzard? Unsure of what to make of this. I will say they are doing it with one of their best field players manning the net in Holler. They have a pretty good schedule remaining so I’m keeping their prediction in place for the time being but I see them closer to moving up then down. I really don’t know what to make of this start for Tonawanda United. Its only been two games but its not great. The month of June is filled with good teams here so failing to bank early could come back to cost them. They are certainly missing something here they’ll had in years past. Plenty of time to make it up but right now based on these two games I’m wondering if its still there to rediscover at all. They better hope they are more like the team that beat Crusaders then the one that fell to Hamburg. They have some pretty good players on the roster but they just are struggling to put it all together. If they can get Horton going up top that’d be big. 2 goals in 3 games isn’t going to cut it. My expectations were low to begin with but scoring 0 goals so far is not helping matters. I knew they’d miss Alba but this is pretty unacceptable at this point. At least they won their Cup game and have a game in hand? I don’t know. I’m searching for positives here for them and that’s the best I got. Yeesh. Not pretty here. Not a goal in league play and it’s not like they were playing a dominate schedule outside of Olean. I will give them full marks for being the first BDSL team to make the trip down to Olean. Was told there were 100 fans there at the game btw. It appears that Mueller has found some help in Anthony Christy which is good for them. I’d say things are about par for the course for them. Honestly aside from Youngstown Simpkin is a massive pile up and spots 2-8 are all up for grabs. It will be interesting to see who makes the claim for a playoff spot because I think Simpkin only with gain three. Which Celtic is the better D2 team? I have no idea. You could flip flop their spots if you wanted to. They are extremely comparable as their tie between them indicated. So I gave them matching grades and similar mid table placements that you can interchange then easily. A pair of 1 goals wins coupled with a 2 goal loss has DSC in 2nd place in Simpkin. I mean that should tell you all you need to know about how balanced this division is vs Odenbach. DSC to me is a pretty reliable team have D1 experience and have enough veteran presence that should bode well for them going forward. I’ll be interested to see how they do vs Youngstown but aside from that I have them in the playoffs. Defensively Delco appear to be one of the units in D2. Problem is unless Correa scores no else seems to be able to help. So whats left is a team that can keep pace with most other teams but will struggle to pull games out. They will be tested often in Odenbach too as there are some potent teams ahead in the schedule. Should someone else be able to find the back of the net here then maybe the can move themselves back into the playoff discussion, but for now its on the outside for them. Beating 11 Stars FC handily to close the month was big as they’ll need to build on that. The Youngstown result is understandable but they regret the QCP loss if they end up just shy of a playoff spot. Again Simpkin is wide open so its there for the taking. But I’m feeling less sure about them considering the actual results. Rocky start but a convincing win coupled with a draw vs a strong West Seneca FC team is about as good as it could’ve gone for them. I would certainly say I maybe underestimated the cohesiveness of this team. Their manager Admir Kadric is too tactically aware and able to put his team in many bad positions. That alone is huge boost to their chances. Things are looking up though in my opinion. Looking forward to the showdown vs Future Stars in an LA battle. Future Stars got the start to the season they need and now reinforcements are arriving too. White 7 out of 9 gained Future Stars grabbed enough to keep them in the hunt as the schedule starts to get much harder here. As said above looking forward to their game vs FKB but right behind that is a rematch vs West Seneca FC where I’m sure they’ll want to settle a score. I haven’t moved them up much yet but trending up no question. Odenbach is tough. I’m sure they are a bit disappointed in their first month results, but I see no reason to be worried here. This is still a solid team that is just getting acclimated to a harder division. Mikulski and Mendez have just a goal and assist between them, which will need to change for them to stay in the hunt here. I think their defensive efforts though give them a good base to build here. Hey at least they beat Meerkats FC! Quiet honestly that could save them too. But Simpkin has been a bit weaker then I anticipated overall so a decent chance they can climb higher here. The Legends lived up to the billing in May with a clean record. Kirk Love is feasting on D2 backlines, Manager Tim Jordan is leading on and off the field and a strong defensive unit lead by keeper Dave Cappuccio has them in the thick of the playoff hunt in the loading Odenbach division. I will say thinks are going to get tougher with both West Seneca clubs waiting in back to back weeks. It will be interesting to see how they play vs some of the other top teams in D2 here. But so far so good for the second Lykan squad. Soory boys but I’m returning you guys to this name until you guys show a pulse. Their -11 GD is a BDSL worst. They at least managed to score vs Rebels before losing that one. A miserable start here for Jimmy’s but again Simpkin isn’t exactly a gauntlet so its reasonable for them to conceivably get off the mat here. But right now Jimmy’s Kickball is fitting. On the field 1854 is quickly making a name for themselves in the division. They have the best GA record in D2 while Jordan Mullen has emerged as a player of the year candidate in the division. They’ve already proven they are here to compete with having good numbers at every game so far. Off the field Olean is killing the game as well. So far of the top of my head: a team store, custom corner flags with team logo, custom team scarves, first home game drew close to 100 fans, and planning youth walk outs for future games. I mean come on. I might leave Roos FC to be apart of this. I mean not really but I have to set up my game here to compete with what they are doing. All in all A+++ job by them. Attendance torpedoed any chance at a good start but I think as the calendar changes to June we’ll see better results from this club. Jacob Ferry remains the focal point for them. Defensively they are a bit out of sort so fixing that is a must. In the cluster that is Simpkin I could as easily see them in 2nd as a I can see them in 8th. Rev’s started off hot but cooled as May wore on. The offense has been taken over by BDSL rookie Sebastein Barriere who proven a menace to defenders. The rest of the squad is a bunch of veterans who have handled the transition to D2 quiet nicely. They will be in the hunt here extending past June as their most difficult games are in July. Bank what you can now and they could sneaky themselves into the playoffs. As I expected its tough sledding for Reds in the stacked Odenbach. By most accounts they aren’t playing poorly. But they are lacking scoring which is piling the pressure on the defense to be perfect each game. 1 GF in 4 games isn’t going to make it. They also got two good teams in Rebels and Youngstown in the cross over games furthering their misery. On the bright side 11 Stars look pretty poor right now. The last game of the season might be a loser goes to D3 game. Undefeated but I’m guessing they’d like to have more them 5 points to their name. Mack continues a torrid pace and is one of the best players in all of D2. I think as they get more accustomed to the league they’ll adapt to make things work. Just need to find a way to close out games. June is the toughest stretch of games for them starting with this weekends West Seneca derby vs Panthers. I think they are a playoff lock but if they can’t turn 1 point games to 3 that could doom them. I mean what else should we expect here. It’s a Championship experienced roster that decided to merge with a D2 team. It’s not hard to understand why they are undefeated. The Lee Yaw’s are seemingly toying with teams. My favorite image is parents of some of the younger teams coming to games and seeing their sons’ playing against Kurt Schulz. Pretty funny every time I think about it. Not to pile on our BDSL Secretary here but this was a less then ideal start for them. The schedule for May was there for them to start off on the front foot but instead they fell flat. It’s not only the results but also the coughing up of leads, the missed PK’s and the general way they arrived at this start that is alarming. This said. There is no reason they can’t get back into the D3 playoff hunt. With only two games played hard to read too much into Big Green here. I do think they are improved team vs last year. If Tristan Myers gets rolling that would be big but right now its Jackson leading the way for them. Still some back line concerns but overall trending up. Another team with just two games played so its hard to truly say yet what to expect but early results are encouraging. They played Medina tough away which is no easy feat. While I like what I see so far its hard to move them up just yet as again its just been two games. After June well know more. They were killed in their first two games before drawing Bangarang. They should be better then this but for what ever reason they aren’t I have to believe Booker hasn’t been at a few games as a backline led by him allowing 13 goals in 3 games is crazy to me. Maybe the first two games they just weren’t ready for and they are closer to the other team that gained a point. At least for their own sake I hope they are. Welcome to D3 where a 1-2-0 record gets you ummm 5th?!?! What? Good lord. Come on guys. Their results are pretty straight forward. Sorry I can’t get over the fact they are in 5th right now. Let’s just move on. Looks like NY Elite aren’t going to run away with this division after all. Medina has emerged as a team to be reckoned with here trouncing all teams in their May contests. Production is found all across the roster but its Manager Barry Rogenmoser leading the line. Also impressive is they have yet to concede a single goal in all competitions. I’m eagerly awaiting there June 17th showdown with NY Elite. Undefeated start but by their own admission it seems like they aren’t firing on all cylinders which is either scary or alarming. They are inching out close games right now but haven’t played any other top D3 teams just yet. A playoff lock but we have to wait until July to see how they match up vs the other two divisional favorites. Elite has started the season with comfortable wins in all three contests. I’m not sure if any team will be able to stop Alba. He’s most likely the player of the year here in D3 no matter what happens. He’s just that good here. They like their D3 throne rival Medina have also not conceded a single goal yet this year. All eyes on June 17th for what will be in my estimation the D3 championship preview. Similar to Big Green they appear to be a more competitive outfit when they have numbers especially. I like the direction they are headed in. Biggest problem is here is their leading scorer is a defender. So someone up top needs to help out here to really turn things, but overall improvements. Come on Rust Belt! You made many a splashy move this offseason to be off to a 0-3-0 start. They have looked better in the last few weeks so that’s encouraging. Perhaps the gel time needed here to make all the new pieces fit is what has tripped them up. I’m hoping their Wood Cup vicotory last night is the stepping stone they need to right the ship. Don’t look now but Tesla FC is 3-0 and has eyes on challenging the other top D3 teams. This weekends tilt vs Lasalle should be a good one. There isn’t one superstar here on this team to look out for. They come at you in waves with a deeper roster then most other D3 teams filled with BDSL veterans. The injury bug has bit them as of late so it will be interesting to see how they respond to that. But overall they are quietly impressing which is probably how they want it be. Tough loss last week for Aliens who could have taken a strangle hold on first place with a win over Bluestars FC. That said the win over West United proves they have retooled after a disappointing 2017 campaign. Best news for them is that Polo isn’t the only one doing all the work here. Bochman already has surpassed last year’s goal total. Things are looking good for them. I’m positive they are looking forward to the return visit from Bluestars in July. They popped Orajne pretty good in week one before Bluestars returned the favor week two. This team seemingly does just enough to make it in the regular season but with a retooled Aliens side, West United and Bluestars, they’ll need to step things up a bit if they want to defend last years crown. When I look at this team its roster on paper is the most impressive. For me it was always a question of their commitment to this division vs Sunday commitments. Well so far so good. Maybe it was missing out on the championship game last year or that a handful of these guys are now playing in lower divisions on Sundays so they have an extra spring in their step, but what ever it is its clear they are top dog in O-35 right now. The win over Orjane has them with their first win in close to 2 years of O-35 league play so I’m sure they savored that. Defensively they struggle and with no obvious solution to that expect most their games to have some high score lines. Falling to Italia must have been a bitter blow as this side struggles to a slow start. Their June schedule looks imposing as well with a run of three games against all the top O-35 teams. They’ll need to win one of the other two vs Aztecas to get themselves out of the basement most likely. Sluggish start for the regular season champs of last year. Just 1 goal in two games is pretty surprising here. Maybe there is a bit of a hang over of 2017 here? I’m not too sure but with Bluestars on the docket this week its not getting easier for them. I think they’ll bounce back at some point here but it will be a dog fight at the top this year vs the comfort they had last year.